Where do I start … well, when I bought my house 3 years ago, the existing garden was nice enough – except that it was basically full of overgrown trees that blocked out all the sun and all that would grow (and grow they did!!) was Ivy and ferns and some nasty ground cover. You couldn’t see anything for Ivy, it was everywhere … in fact it was trying to get into the house through the windows. No joke! 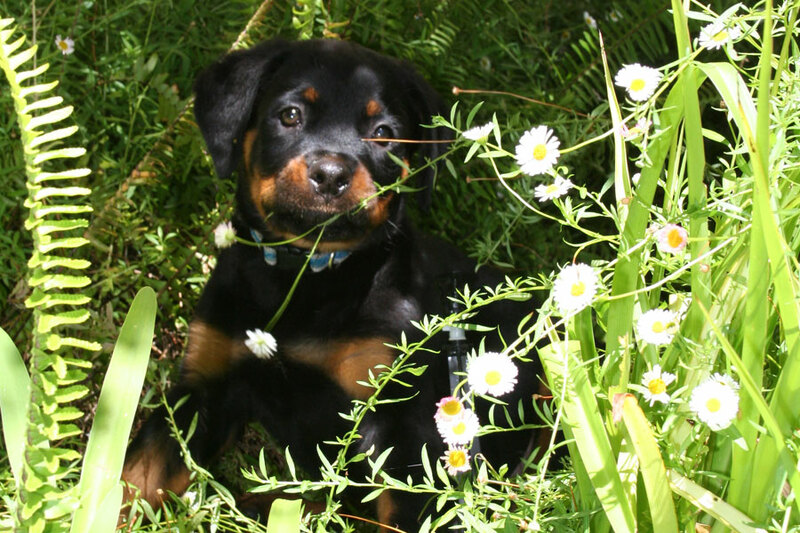 Then, one amateur “gardener” (not me) and a puppy later … and the garden was destroyed. I then had the very dumb idea of allowing someone who claimed to be a horticulturist talk me into redoing our garden. Well … lesson learned – ALWAYS ask for references! And then ask to see their work. And then make 100% sure you like their style and the plants they are proposing to plant. 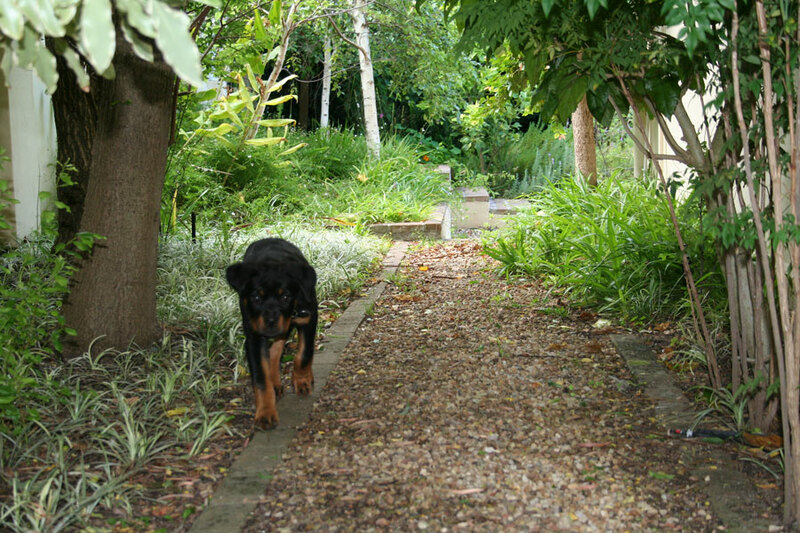 Because … he planted all the wrong things in a garden that got no sun because he never had any trees pruned or topped and he planted shade loving plants in full sun and sun loving plants in shade – one year later and much money down the drain … still no garden. I was really fed up at that stage as I’d spent a lot on the plants. The first thing Katherine did was insist on getting a tree feller in. She refused to plant a thing unless we got some light into the garden. I’ll admit, I cried the day they “felled” my trees. I love trees and hate disturbing even a single leaf on a tree but the result is that we now see the sun and we have our view of the mountain back! And the plants are growing and thriving. I am loving this new experience of watching the plants grow. And I am itching to buy more plants and grow different things. Katherine insisted on leaving some spaces for me to “get creative” in my garden and to put my own stamp on it so to speak. So now I’ve been reading up about plants, (lots of research) and as I had exhausted the one gardening book I’ve had lying around for years I’ve bought myself a few new ones. The book I enjoy the most is “Gardening with Keith Kirsten”, the second edition. First of all there is lots of practical advice (which of course one expects from this type of book) and then there is a Plant Directory with details of plants suited to South African gardens. Easy to understand (for a novice like me) it features simple icons showing at a glance what requirements the plants have (sun / shade / water etc. etc). I would have appreciated more plant photographs – there are lots and lots of photos, but my eye is drawn to the photographs and not every plant in the directory has an accommpanying photo. But it is a great book and the one I refer to the most. So armed with all my newly learnt knowledge about plants I’ve been running back and forth to the nursery getting annuals to fill in some spaces with instant colour and the odd shrub to plant in other spaces. I’ll be asking Katherine to send me some of the “before” photos she took which I’ll post together with recent photos. Should be fun to “watch the garden grow” in photographs over time. 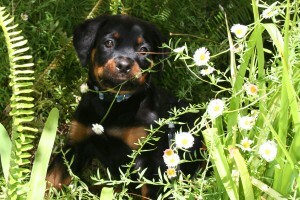 Top – Dexter as a puppy in a mass of overgrown plants, three years ago (i.e. November 2007). Bottom – Dexter again, same day, December 2007. You can see just how overgrown everything was.